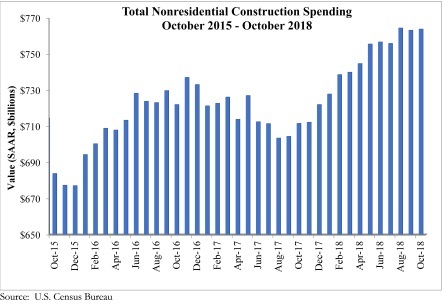 National nonresidential spending increased 0.1 percent in October, according to an Associated Builders and Contractors analysis of U.S. Census Bureau data. Total nonresidential spending for the month stood at $763.8 billion on a seasonally adjusted annualized rate, which represents a 7.3 percent increase over the same time last year. Thirteen out of 16 subsectors are associated with year-over-year increases, with the exceptions being religious (-9.1 percent), communication (-4.7 percent), and health care (-1 percent). 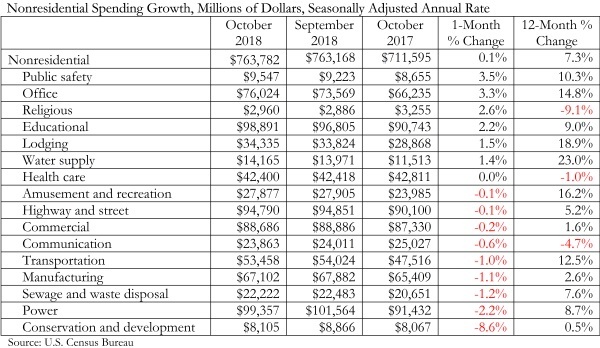 Water supply (+23 percent), lodging (+18.9 percent) and amusement and recreation (+16.2 percent) have generated the largest increases among nonresidential construction segments over the past 12 months. “It is true that not all construction spending segments have participated in the industry’s recovery. However, the number of segments experiencing negative spending growth is small and the expectation is that a turnaround in spending is likely in at least two of these categories,” said Basu. “The religious category (-9.1 percent year-over-year) represents less than 1 percent of total nonresidential construction spending. Demographic forces and a strong economy should translate into growing demand for healthcare services, which will eventually trigger more construction in the health care category (-1 percent), including in the form of outpatient medical centers. The communication segment (-4.7 percent) includes data centers, which can be enormous. When construction of those facilities is complete, it can produce volatility or declines in spending. 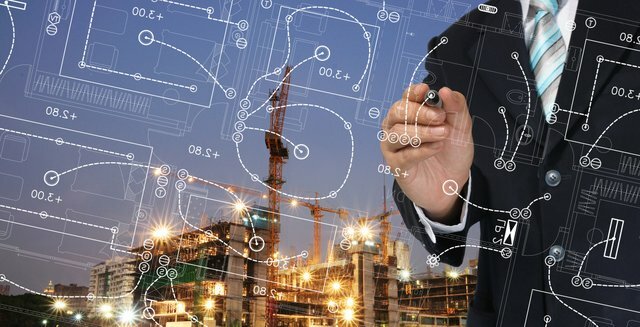 But given the exponential expansion in demand for data storage, communication stands to be a construction spending growth category going forward. For more info on ABC, click this link. We’ve made it super clickable.